Think salads are only for summer? Think again. Winter is prime-time for some of the most satisfying — and healthy — greens grazing.And one of my favorite in-season salad ingredients is the blood orange. Grown mostly in southern Italy and Spain, they also thrive in Texas and California. I came across them this week at a terrific farmers’ market where these exotic fruits these were selling out fast! (If you don’t have a year-round farmer’s market, you’ll still be able to find them in some specialty grocery stores from December through March. 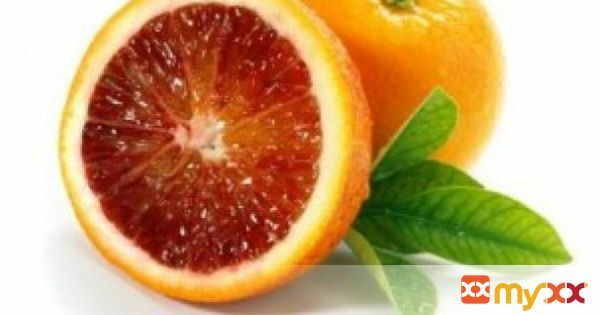 )Smaller than other oranges, this variety packs a big boost of antioxidants. In fact, they’ve got more Vitamin C than any other citrus. The reason is the distinctive deep ruby-red color of their juicy pulp. The pigment is due to the presence of anthocyans, highly beneficial flavonoids.The flavor of these fruits is also unique: sweet, and slightly tart, with a little hint of raspberry. They’re best fresh, and that’s why I sometimes just slice ‘em and eat ‘em!But combining them with two other mega-nutritious ingredients — spinach and walnuts (also rich in the antioxidants essential for healthy cells, as well as high in fiber, Vitamin K and anti-inflammatory properties) — is a great way to make a quick and easy one-plate meal. And it’s especially delicious and refreshing after a workout. Plus, this recipe will only take you 10 minutes, tops, to prepare. 1. Wash and dry the spinach. 2. Then combine everything in a large bowl, setting aside 6 to 8 blood orange segments. 3. Toss with the vinaigrette until everything is evenly coated. 4. Serve and place the remaining orange segments on top of your salad. 5. Not a fan of spinach? Arugula also is a good salad partner for the blood orange. Try it with chopped fennel and red onion, as well as the walnuts. 6. Oh, and if you’ve got leftover oranges, they’ll keep for a few days at room temperature, but will last longer — up to two weeks — if you store them in the fridge.